How would you describe Achaea? I find myself copping out when explaining to my friends. I like simpler combat systems better... then I can play that aspect as well. Achaea does have a rather simple alternative combat system though. It's called bashing. Achaea is like the Matrix, except you forget whether you took the red or the blue pill. Stop simply repeating what I said and actually add something on your own! I can't believe it took two pages for someone to say that. Crack never gets me into OOC trouble, even during all those interventions. Today, someone asked me if I was using IRC. (I logged in for the event in school.) I said it's a MUD game, and they never did ask further. :C But I do tell those interested about it that it helped me learn a bit of computer language. Does Lua even count as a coding language? "Lua is a lightweight multi-paradigm programming language designed as a scripting language with "extensible semantics" as a primary goal. Lua is cross-platform since it is written in ISO C. Lua has a relatively simple C API compared to other scripting languages." I think that means "yes" in Wikipedianese. You know all those things that you hate about WoW. The lack of interaction and trade between enemy factions? You can't influence anything about how the game is played or written? There are no gods...no dynamic storylines, the lore is interesting at times and otherwise completely boring? Then achaea is the place for you. Think of it as a literary roleplay community where the world is shaped, run, and maintained by players and volunteer gods. It has a dynamic atmosphere and you're constantly immured in the fantasy and lore of the realm. If you want to sit like a vegetable, then play wow. If you want to interact, change the world, and lead a faction to victory against insurmountable odds, play Achaea. Rules, regulations, and restrictions may apply. Online play may influence the rating, game is rated teen through mature. Will toss in my 2 cents here even though a bit late. I've played alot of Muds, pretty much every one of the IRE. Of them I find Achaea to be the least flavored in terms of RP and general world affairs. If you think about it, what is the main constant circulating unchanging action in Achaea? <Players of X city> raid <Y city>. It is a blue moon if you ever see anything different. 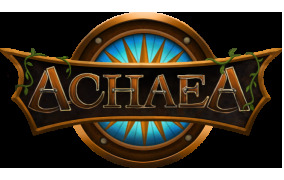 Achaea has a large playerbase but that is mostly due to it being the IRE favorite and firstborn, and that all the first players of IRE stuck to Achaea. During the days of Guilds Achaea had more depth and involvement with its player to org RP. The Guilds not only represented what each city stood for, but had skills that were only found in that city and thus each was unique in its own way. Other than this, the guilds themselves offered tasks and a goal for players, and as they grew in their ranks they would develop more skills. As trolly as guilds were back then (Unshocking by some of the many colorful players we have >.>) they were a core theme for game RP and alas Achaea seems to have desperately lacked that in its days. In ones free time when they sign in to Achaea it seems the only thing available to do is: Hunt and defend. It all circulates this and general non-com players really have no other options on their hands. They could fish for hours if they like but we all know it gets boring eventually. While playing Lusternia I had -amazing- experiences with quests, story-quests (that could make global messages), RP events, another method of xp gain, ways to empower your city, capturing villages in your city's name, and more. This all gave a wonderful atmosphere and generally fun. When I mention Achaea I bring up that it has alot of players but isnt very player-friendly and you have to beware not to step on the toes of lots of players or you will be slapped for it. Sometimes I just wish Achaea could take some of lusternia's friendliness into it. 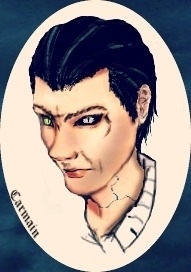 Edit: Oh and I forgot skills, Achaea has been around for very long and its skill-system is very outdated.. Compared to Lusternia and Midkemia and heck even recently Aetolia, Achaea has really fallen behind the times. Lusternia and Midkemia offer a variety of skills and the ability to select which teritary skill you wish. When I mention versatility and fun I admit I mention those two over Achaea. I mean almost all of Achaeas classes share the same skills and only around 4 are seen as "viable class picks". smart people: WoW world, graphics > runescape's graphics, free to play, LOTS of options. dumb people: WoW. That stands for Wall of Words. "hey, what's that you're reading?" "actually, i'm playing. 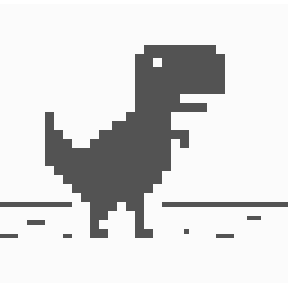 and it's a text game." "wow! your thumb must be sore from all the texting you do, huh?" "It's a book that is constantly being written as you read it, by hundreds of different people all at the same time. You sit there with your eyes open and your pencil in hand, writing your own story as you experience thousands more."